Christopher Nolan's mysterious new movie is finally starting to heat up. John David Washington has been cast to lead the filmmaker's latest endeavor, which is shrouded in mystery for now, but is being billed as an "event" movie and will arrive in theaters next summer. While we wait for some official details regarding the plot, we at least know one of the actors who will be showcasing his talents within Nolan's brand of brilliant blockbuster goodness. According to a new report, John David Washington has been tapped to star in Christopher Nolan's new movie. Apparently, this became one of the most hotly contested roles in Hollywood right now and, while it isn't yet clear who else was up for the part, and while the details of the part remain elusive, it was Washington who emerged victorious. For the time being, it remains unclear who will be starring alongside Washington, but Nolan tends to work with an ensemble and he can attract A-grade talent, so we'll surely be hearing of some other big names who will be boarding the project as well ahead of filming. This is another major step for John David Washington, who has been on the rise as of late. 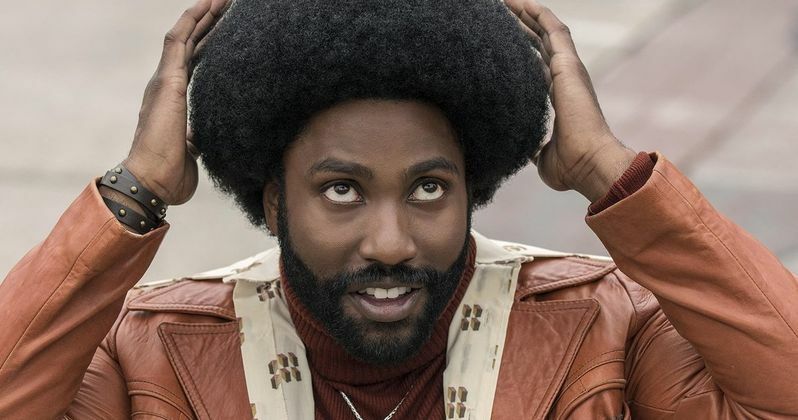 He starred in Spike Lee's BlacKkKlansman last year, which ended up earning a Best Picture nomination at the Academy Awards. While it lost out to Green Book in a controversial decision, the movie was still a major hit and helped put Washington on the map. Washington also gained notoriety for his role on HBO's Ballers, starring alongside Dwayne Johnson. The actor also starred in movies such as The Old Man & the Gun and Monsters and Men in 2018. Related: Christopher Nolan's New Movie Is a Mashup of North by Northwest & Inception? Previously, a report circulated stating that Christopher Nolan's next movie would be like Alfred Hitchcock's North by Northwest mixed with Inception. Warner Bros. has since refuted that report, meaning we're totally left in the dark on this one. However, this report states that it's being described, vaguely, as a "massive, innovative, action blockbuster." With that in mind, the Inception comparison may not be too far off base. This sounds like it will be a pretty radical departure, in any event, when compared to Nolan's previous movie, the WWII thriller Dunkirk. While that movie did carry his signature, inventive style, it was a historical epic. Christopher Nolan is in a league of his own at this point. Few directors have earned the respect of Hollywood like he has, innovating at every turn and seemingly getting better as he moves along. At the same time, he can reliably produce a massive hit blockbuster, while maintaining that signature, auteur style. Even setting The Dark Knight trilogy aside, Inception, Interstellar and Dunkirk were all huge hits at the box office. Whatever this new movie ends up being, it's set to hit theaters on July 18, 2020. We'll be sure to keep you posted as any additional details are made available. This news was first reported by Variety. Christopher Nolan's Next Movie Gets 2020 Release Date, What Is It?